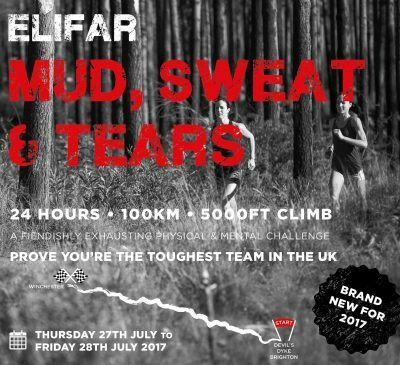 Mud, Sweat and Tears is Elifar’s latest fundraising event and kicked off in July 2017 on the South Downs Way. The inaugural Mud, Sweat and Tears was undoubtedly a tough event and tested participants and their teams to the limit. Participants raced 100km from Devils Dyke to Winchester in July 2017, running, walking and even crawling to the finish as fast as they could. Fiendish mental challenges were included along the route to add some extra tests and completing them could shave hours off a team’s finishing times. The 100km route followed the South Downs Way national trail to the finish line at Winchester Cathedral. 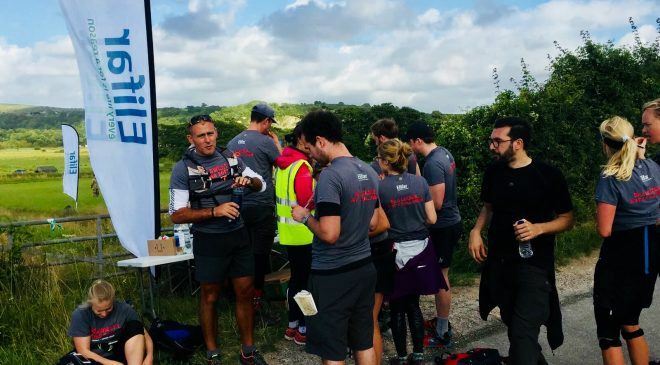 The event was fully supported with 10 check points along the way where copious amounts of food, water, and first aid were on offer combined with lots of cheers and support. The organisers are busy planning the 2018 Mud, Sweat and Tears so if you’d like to take part then get in touch now.